This is my 2010 Macbook Pro replacement. I decided I needed a desktop to use for everything--gaming, music production, and some video editing. I'm really happy with this build and I'm glad I didn't opt for an iMac. I have studio monitors that I hook up to this and it was generating some noise every time I moved the mouse and got really loud when I would play a game. I was using a 3.5mm TRS to dual 1/4th inch connector that plugged to each speaker. The cable was getting a lot of interference. Using an audio interface (Peavey USB Audio Interface) with dual XLR outputs fixed this noise issue. I researched this noise issue and it can be a lot of things, so this might not be the fix for others, but it was for me. I'm using the NZXT Hue+ lighting strip here. It doesn't fit in the 2.5" bays like it says it would. It's too thick and won't let you slide it forward to clip it on. There's plenty of room on the bottom with the power supply. I just installed it down there with some velcro. Also, the Hue+ requires a USB header and this motherboard only has 1 USB header. My Kraken X61 also requires a USB header. I had to purchase an internal USB expansion board (NZXT IU01 Internal USB Expansion) to get them to work. I have the Kraken X61 installed at the top with the fans pushing air out. You have to install the fans below the radiator to make it fit. The EVGA 980Ti Hybrid radiator is installed in the rear with the fans pushing out. I kept the stock fans in the front and are pulling air in. I bypassed the fan controller that's built in on the Manta and plugged all the fans directly to the motherboard. Also, the Kraken comes with it's own thermal paste, no need to buy or apply any. Old XBOX 360 controller works great. 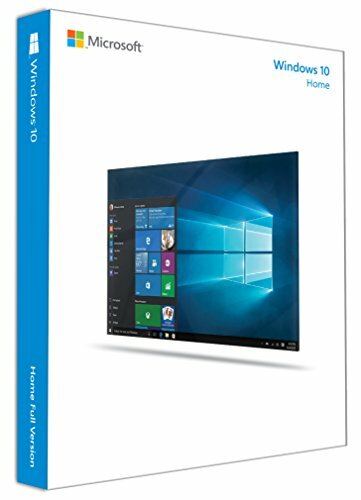 Plug and play in Windows 10. There's a motherboard cable for the power supply that has a 10 pin connector and 24 pin connector that both get plugged in to this power supply (24 pin on top and the 10 pin right under it). They're not labeled and the manual does not tell you anything. I'm sure this is all common knowledge to most, but for me it wasn't. Again, this was in my case with this power supply and this specific motherboard, may be different for others. I bought some white extension cables and ended up not using them. All the cables I needed came with the components I purchased. Just want to say , this site is great. It really makes it a lot easier to build a PC and makes it hard to F up since it tells you what's compatible and what's not. So far no regrets going from Apple to PC. Panda's a beast. Thanks for checking out my build. Do you have broads in atlanta? Damn that is so pretty! Should have been featured. Well done. Nice build. How do you like the NZXT CAM software? I also agree that this site is the best. I'm starting to get addicted to it. I use CAM for my Kraken as well as my Grid + fan controller. You can easily set cooling profiles for the pump/fans as well as the lighting for the pump. I use it every day though as a monitor for my system temperatures as it has a miniature cam mode that shows cpu/gpu heat and load and allows you to change the cooling profile all from a very compact window. I usually have it on my second monitor so I can keep an eye on it. As I understand it, the software used to be pretty bad but now it works well. I think it's worth it. The stock fans are a little loud under performance mode but the cooling is worth it. I have mine in a push/pull config in my build. Here if you wish to check it out. I have some benchmarks on it. Note though that I have since switched it from being intake to output and since I have been getting better CPU temps but a hell of a lot more dust. Nice clean build!!! how are you liking the hue+ and the corsair K70 I love mine sometimes I just sit and make up profiles for both and try to get them to match LOL!!! haha nice. I haven't tried matching them up yet. I have the k95 and scimitar mouse which I actually pulled off from my work setup, need to buy a keyboard and mouse for this build soon. Really nice build. I feel that maybe it would look better if you move the GPU radiator to the front and flip the CPU cooler so its pipes are the other way. Thanks! The tubes don't bother me too much. If I flip the CPU cooler, the NZXT logo would be upside down like the Samsung logo. I think that would bug me more since it has the Hue lighting that brings attention to it. Awesome build dude! Love the color scheme. You could even add a white/black corsair fan on the rad for your hybrid 980ti like I did in my build and that would take it to another level. In all seriousness, spend 2 hours of your time with some zip ties and zip tie straps (~$10 in total. Straps are 3m and allow you to route cables with zip ties). It will be worth it in the end trust me. not sure if you're talking about the inside or outside or both. I know outside is a mess cable wise, I'm waiting to redo the outside cable management once I build a new desk. The cable that bugs me inside is the motherboard cable that sticks out, I might have to get some extension cables to flatten out since the one that came with the power supply is sleeved and bulky. It doesn't let me flatten it out and have it go behind the opening in the back. I got excited and just wanted to play with it so i just plugged all my stuff in and didn't care too much about cable management. That's not even the desk it will be on. Keyboard and mouse is from another setup too. Also, didn't know there was a feature thing on here, let alone didn't think I'd get featured, otherwise I would have cleaned up a little. HAHAHA cable spaghetti. . . cant wait to use that on the next build that posts with horrible cable management. Like Amazian I saw the title and had to click. We just got a puppy on Monday and my daughters named him Panda. So of course I'm kinda drawn to that name now. Anyway great build. Although I think some Geil Super Luce white with whiteLED ram sticks would have made the build pop a little more. Ain't that a beauty! The more I see of the Manta, the more I like it. One thing to know about the Manta, you can't fit MOBO that accommodates SLI. So yeah proceed with that in mind. It is a cool case otherwise. Do you produce music? I would love to get a link to some of your stuff if you do! Samsung logo...can't unsee it! Just kidding. This definitely and aesthetically pleasing build. I'm jelly. If I were you I would install the cable extensions, obviously the power supply will come with all the cables you will need. But the white extensions will look alot better than the black cables and it will compliment your build's color scheme. Cable extensions are more meant for aesthetic appeal versus the of practical use of extending cables, I hope you knew that when you purchased them, cuz they are not cheap. You're setup looks so amazing! The case looks a bit cramped. Was the side panel hard to get on with the tubes for the cpu? The tubes are in the middle. All the cables are on the right side and I didn't really do much cable management on the other side and the cover still went on easily. I also installed the USB header expansion board on the side where all the cables are. NIce to see this build featured good work and nice parts list. +1 for that beautiful White and Black build with the HUE+. I always have a special place for these ;) Congrats on the Feature. Twisting dope lean, and the Manta. does the nzxt manta come with a fan hub? Yeah, I didn't use it. It's mounted on the side behind the motherboard. Thanks! Honestly, I just hooked up everything to take pictures and mess around with it. Too excited. I'm not done with the setup. Building a new desk next and i'll have everthing layed out better, as well as cleaning up the cables a little. Didn't know there was a feature build thing on this site, otherwise I would have cleaned up a little more or waited. RIP Apple. Your dank looks and huge rip offs will be remembered. Dank in Peace. Your part choices leave little for internal aesthetics. But the HUE definitely brings your beast to life. Also, what Mic are you using? Its nice when peripherals match a build, and I'm a fan of the old timey look of it. Panda.......panda...... panda..... panda....panda...panda..panda.panda panda panda panda panda. Looking fire mate. I think I'm going to use this case for my build as well. The monitor looks good as well what model is it? haha thanks! It's an LG 34UM95 34" ultrawide monitor. Congrats on your featured build. Git a lot of high powered stuff in the thing. I'm not a fan of the fish bowl looking case, but it's still a great build. Enjoy your Panda muscle pc. Quite jealous of the NZXT Manta case! I had been eyeing that since its release, but ultimately went a different direction. haha i love the beat on that song. Thanks! Great build! But... Do you have broads in Atlanta??? Is this the Manta from Atlanta, where you also have broads? Beautiful build and pics. Congrats on getting it built and getting it featured! I dabble in video editing and recommend getting a second SD drive to store your scratch/temp files onto. It makes a noticeable difference in most video editing apps. How noticeable are the red accents on the mobo? I'm thinking about getting it. Nice build by the way, love the manta! yea while the cables already came with the parts, why not use the extension cables to make it look better? does the motherboard have built in wifi? Easily the best build I've ever seen - stunningly beautiful and powerful. This is the inspiration for my next build, for sure. Thanks man! Still loving this build, I made some changes to it hoping to have the updated pics up soon. I'm basically copying this build for a home studio backup / portable machine and small gaming rig. Are you still happy with how the Kraken x61 works in that case? 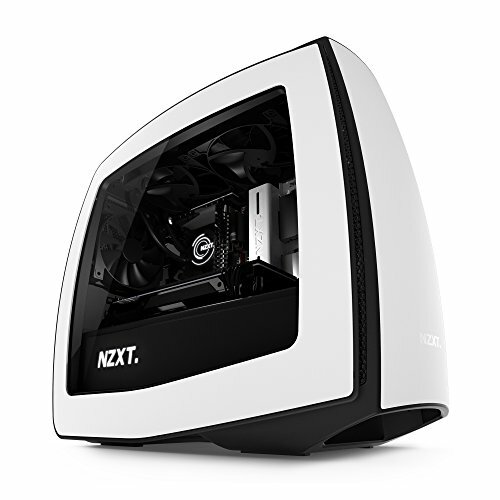 PCPartPicker notes that cooler as a compatibility flag: "Unable to verify the NZXT Manta (White/Black) Mini ITX Desktop Case has sufficient mounting depth to support the NZXT Kraken X61 106.1 CFM Liquid CPU Cooler 280mm radiator." 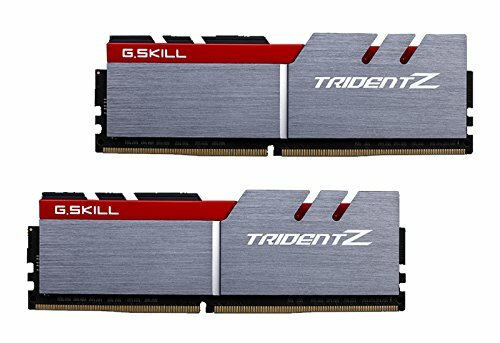 Would you suggest a different cooler, or should I go for it? Not sure why they flag it. I have it mounted on the top as an exhaust with the fans inside, radiator above. The fans are pretty close to the motherboard but it fits. You can mount it in the front as well. I've updated my build but I'm waiting for the 1080 GTX and I will post pics. I replaced the stock fans on the X61, they weren't too loud but it didn't sound as "smooth" as I'd like. Performance wise, the CPU is at 23-25C idle and reaches about 50C while gaming--that's pretty good to me. I replaced the fans with these: https://pcpartpicker.com/part/noctua-case-fan-nfa14industrialppc3000pwm and I'm happy with the sound and performance. They get loud when you max the RPMs though but they never run at 100%. I also recommend the Noiseblocker E-loop fans if you want something quieter, but Noctua Industrials perform better IMO. I like the CAM software GUI too which integrates with the Kraken, a little buggy, but not a dealbreaker for me. Hit me up with any other questions, would be glad to help. How did you get some of the components for free? Awesome build! I'm about to start one with the Manta as well. Interesting what you said about the Hue not fitting. Is there a way to make it fit you think? Or is it just a lost cause? 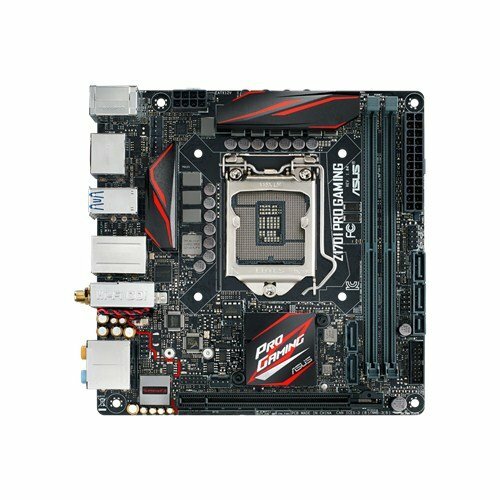 Also, how is this motherboard overall? I'm thinking of just forking out the extra cash for a ROG Impact but this one seems pretty good too. Good job with the build! Exactly! No more Mac for me. I used my macbook since 2001, and I was able to update the memory, hard drive, battery (psu), and OS, all those years (15)! Till recently, the processor just couldn't keep up with the OS updates, and I retired it. Now you can't update the MacBooks, so it's wise for people to look elsewhere. People are doing "Hacintosh", but seems complicated! Thanks for sharing! It's good to see others making the switch. Hey congrats this looks amazing. What games can you run at what settings? Will this run the new Mirrors Edge maxed out? Under the PWM fan control, velcroed to my power supply. panda panda panda panda panda panda panda MM I GOT BROADS IN ATLANTA. +1 looks awesome withe the LEDS! both with a good price and power! Aw I didn't know about featured builds. New to this site but it's all good. Thanks! Yeah maybe it's because I came from mac. This case looks so nice in white...at least to me it does.